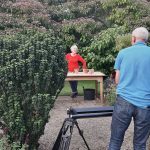 A few weeks ago we were lucky enough to play host to Carol Klein and the team from BBC Gardener’s World. 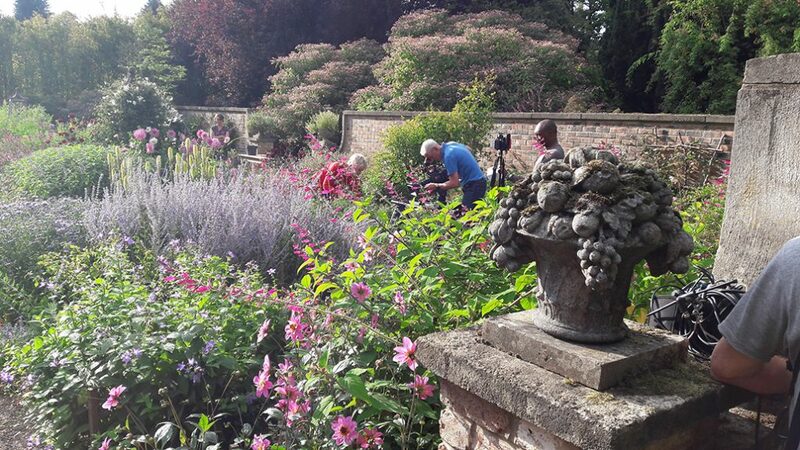 They were looking to do a piece on salvias and as we have such a large collection in the borders and the Autumn Garden, they got in touch asking to film a segment. We were a little concerned as the skies looked a little grey and it was a little chilly despite regular shuttle runs for tea and coffee, but we needn’t have worried as luckily the sun did come out and the late September sun created a beautiful backdrop for the star of the show…the salvia! 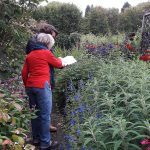 Carol shared her expert knowledge of the salvia and she seemed enamoured of the colour and variety contained in the walled Autumn Garden. 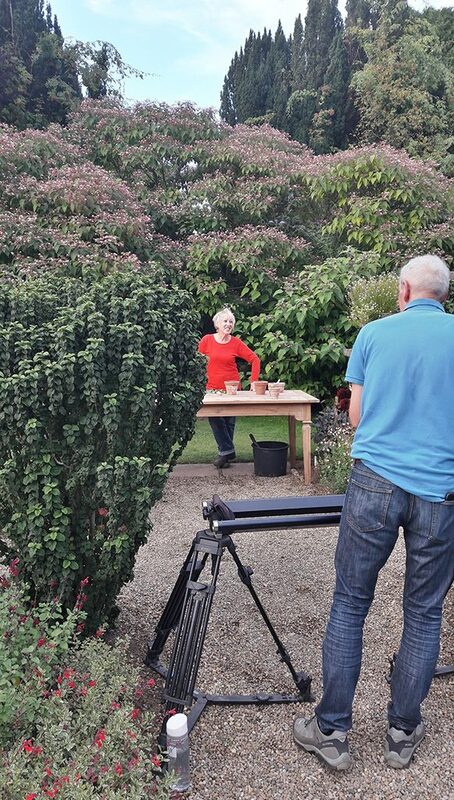 Everyone was delighted to see filming going on…Gardener’s World is definitely a favourite with our visitors! 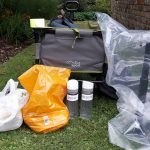 We are always amazed at how long it takes to get just a few minutes of film…the hardworking crew and Carol were here for almost 12 hours…but we think it was worth it!